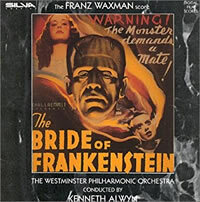 One of Hyldgaard’s first activities in film music came in the early 1990s when, along with Richard H. Bush and the English record label Silva Screen, he helped reconstruct and produce the first new digital recording of Franz Waxman’s score for THE BRIDE OF FRANKENSTEIN, performed by the Westminster Philharmonic Orchestra, conducted by Kenneth Alwyn from orchestrations by Tony Bremner. 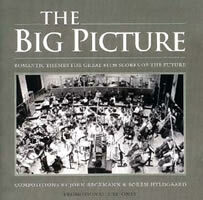 This was the classic 1935 score’s first presentation in its nearly complete form. 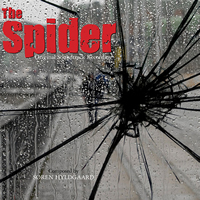 Hyldgaard also supervised a newly recorded suite of Ron Goodwin’s Miss Marple film scores, performed in Denmark by the Odense Symphony Orchestra, conducted by the composer and released on CD by Label X in 1993. 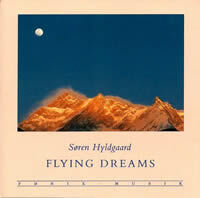 Hyldgaard also worked with James Fitzpatrick and Mike Ross on several soundtrack projects with the City of Prague Philharmonic. 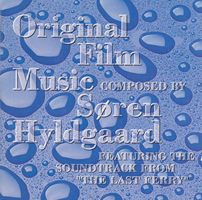 Søren’s first film score was for the Danish Film Workshop, a fantasy short called ADAM HART IN THE SAHARA, released in 1990. 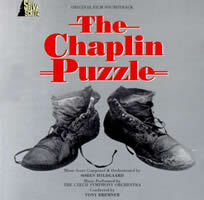 In 1993 Hyldgaard had the opportunity to compose his first orchestral feature-length film score, for the 1992 Danish documentary film THE CHAPLIN PUZZLE, which included the full-length restoration of Charlie Chaplin’s 1915 film POLICE. Chaplin completed the film as a three-reeler and considered it his best film; but its distributor butchered the film and sent it to theaters as a two-reeler with little dramatic consistency. The documentary covers Chaplin’s rise to stardom, and details the restoration of POLICE, giving Hyldgaard the chance to score not only the documentary part of the movie but the refurbished Chaplin film itself. 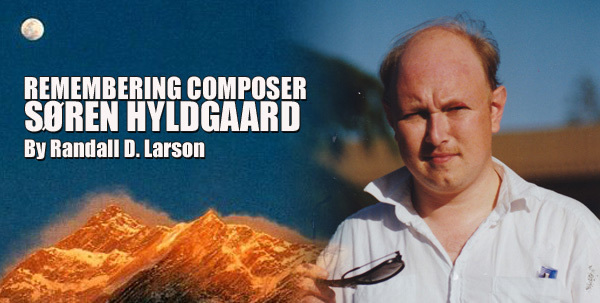 In 2001, Hyldgaard received an artistic acknowledgement award for his achievements in film scoring, presented to him by The San Diego Film Commission. In addition, he has been recognized with several European film award nominations, including the Finnish National Film Academy's JUSSI Award as well as the Danish equivalent, the "Robert" award. 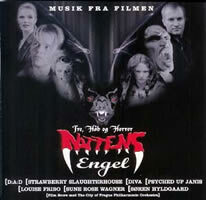 Hyldgaard also won the Danish Film Academy's statuette for his moody film score for DEN ENESTE ENE ["The One and Only"] in 1999. 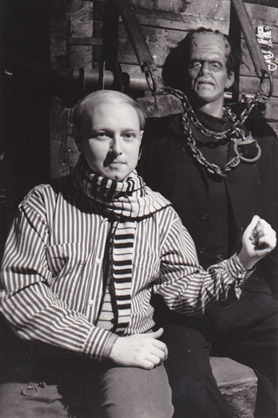 His films include the Oscar-nominated short NÅR LIVET GÅR SIN VEJ (1997). He got his Hollywood-debut with the thriller RED (2008), starring Brian Cox. 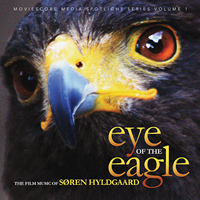 Among his notable soundtrack releases include THE CHAPLIN PUZZLE, issued by Silva Screen in 1992, a promotional compilation of five scores including the fantasy short THE LAST FERRY from FairPlay in 1993; EYE OF THE EAGLE, a compilation of themes and suites from 18 of Hyldgaard’s film scores released in 2012 by MovieScore Media; THE SPIDER, an expanded reissue of his score to the 2000 Danish crime drama miniseries EDDERKOPPEN, released in the US by Kritzerland in 2014. I had the opportunity of meeting Hyldgaard in 1992 and again in 1994 when he passed through northern California on a pair of excursions around the US. I have fond memories of his joining my family for an evening dinner during his first trip and learning of his endeavors on the Waxman album, which I could not wait to hear; and on the second we met in a parking lot near the San Jose airport, chatting in my car and listening to tapes of his music on the car’s cassette player. 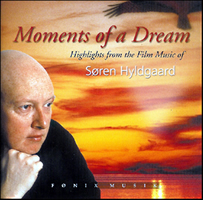 I just loved his music and enjoyed Søren’s enthusiasm for his newfound opportunities in composing film music. That music continued to grow as more films came to him, mostly in Denmark, but his work was certainly recognized internationally. Sadly, as happens, life and work got in the way and we lost touch, but his various endeavors in music were always welcome and wonderful. May his music continue to be respected by all those who regard music of all kinds with pleasure and passion.